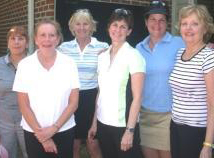 The Wildflowers is a women’s golf group at Wildwood Green Golf Club that plays 18 holes together each Tuesday morning of the months, March through October. The Wildflowers have been a part of Wildwood Green since 1975. Our tee times vary from 8:30am to 10:00am depending on the season of the year. We have a formal organization with a President, Vice President, Secretary, Treasurer and several other offices for special events. Our yearly membership fee is just $10.00. To join our group you do not have to be a member of Wildwood Green Golf Club but you do need to have an established handicap either at Wildwood Green or some other course. Wildwood Green’s current greens fees and cart fees apply to play. Adult women of all ages and handicaps (max handicap for games 40) are welcome. Each Tuesday during our season we have a specific game and each player puts $5.00 in the “kitty”. Winners are paid cash at the end of play. We try to have a variety of individual play formats to accommodate all skill levels. 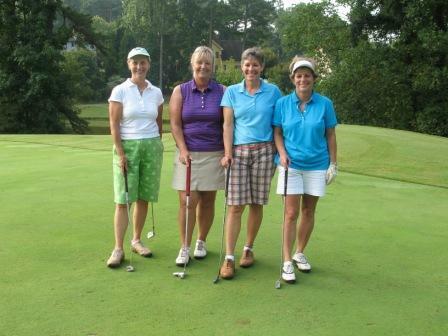 We have tournaments with the men’s group (The WildOats) called “Jack and Jill”, we have our own Member-Member championship and each year we hold an Invitational Tournament open to women golfers from other courses. We also occasionally travel to other local courses to play, and of course every year we have our annual Christmas party. Some of our fun golf side contests include: Hole-in-One, Ringer, and our Birdie Tree. We consider our main goals are to have fun, get to know other women golfers, and improve our knowledge and skills on the golf course. We publish a newsletter each month during the season with the next month’s schedule, club news or announcements for the group. If you have any questions please contact the golf shop for more information at 919-846-8376 ext. 2. 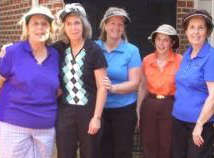 The Wild Working Women play a 9 hole match and stroke play competition on Thursday nights, based on a flex handicap (not necessary to carry a USGA index) to accommodate women who cannot play during the daytime or just want to get out and get in an “extra” round on a week night. While the league is full due to a complete roster of 24 regular players, the WWW can always use substitutes! Subs play on an ‘as needed’ basis, and they do NOT have to be a member of WWG to join the WWW. Please contact the clubhouse if you are interested in more info about the Wild Working Women’s league, and a representative from the league will follow up promptly.